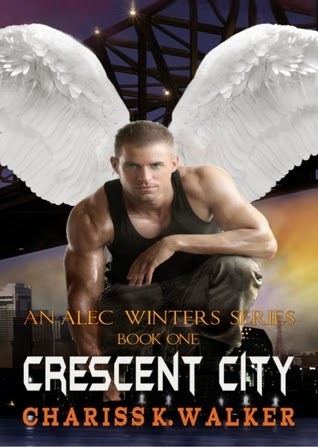 Alec Winters quietly moves through the streets of New Orleans, the Crescent City, looking for predators -- those who destroy and prey on innocence. Trained in close-hand combat, he uses these skills when necessary to kill the offenders. Sometimes, his military training isn't needed at all. Sometimes, the only thing it takes to end the lives of wicked, evil men is one look at him. After two suspicious murders in only a short time, the main problem Alec faces in his quest of redemption is a nosy reporter. Vivien Simon came to the metropolitan area to do a series on the effects of Hurricane Katrina -- with crime rates on the rise, her interests are drawn to the seedier aspects of the city. She’s hoping to get the story that will make her career. When she discovers that both murder victims were pedophiles, Vivien begins a newspaper and blog campaign that frightens parents and turns the city upside down. Some say the perpetrator of the murders is an angel while others insist it’s a devil. With contrasting accounts, Vivien wonders if a vigilante is on the loose -- or worse, a serial killer. She’s hell-bent on discovering the truth, but her persistence and stubbornness might bring her closer to death and damnation than she ever imagined. No one can stop the Angel of God… and they wouldn't want to get in his way.